The Infinity Link Bracelet is an original design that I developed from looking at different infinity symbols. It is really quite fun and easy to make. 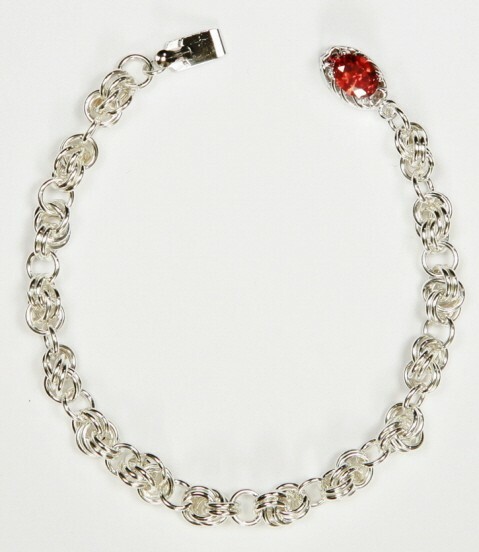 This is a very versatile bracelet that is quite suitable to be worn every day. It is a beginner weave. The clasp is not included in the kit.